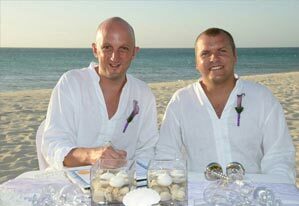 Say 'I Do' in paradise in the beautiful Florida Keys, of the most LGBT friendly destinations in the world! First-time visitors to the Florida Keys comment almost immediately on the island chain’s laid-back atmosphere that is unique and a world away from big cities and theme parks. Proud winners of the Best LGBT Holiday Company at the British Travel Awards 2017! The British Travel Awards is the largest consumer voted awards programme in the world and this year 722,473 votes were cast by the travelling public to determine the winners and to win is truly an accolade and a badge of excellence. If you are looking for unrivalled panoramic views of the caldera, then this hotel is definitely for you! It really does provide a picture postcard backdrop for your romantic honeymoon getaway. El Dorado Royale, by Karisma, is an adults-only paradise where everything is designed to help you slow down, relax, and savor every moment of your holiday. Marry at the beautiful Limestone Heritage, a unique Heritage Park with stunning waterfalls and spectacular architecture. 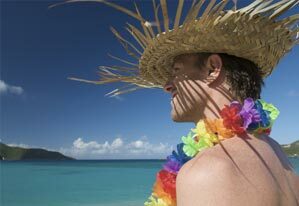 We have shortlisted our favourite and most popular gay-friendly honeymoon hotels around the world. Check out a handful of our favourites. We have your perfect location! 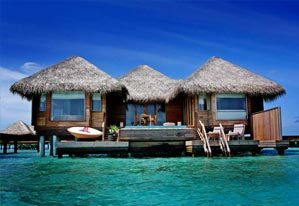 Our website features the best honeymoon hotels around the world, search for and book your ideal honeymoon location. 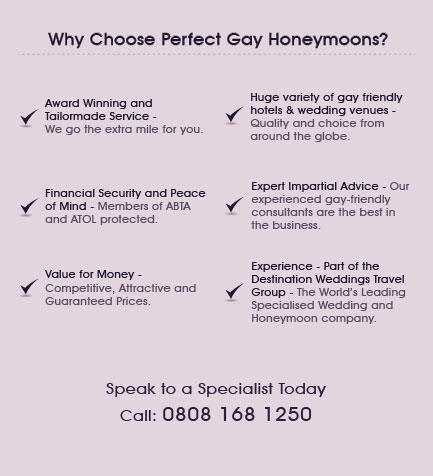 Find out what our past clients think about our services and get inspiration for your own honeymoon with Perfect Gay Honeymoons. 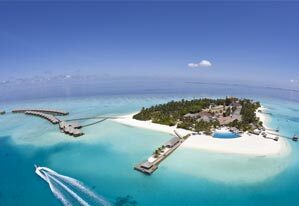 We understand how difficult it is to chose your perfect wedding venue abroad. Our wedding gallery features some of our favourite venues and photos from past couples. 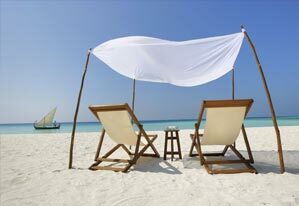 Looking for a honeymoon deal? 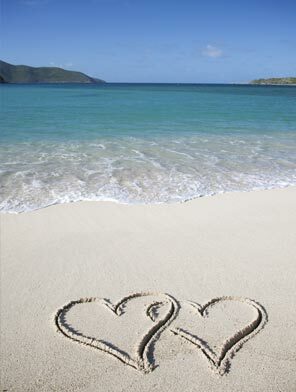 We have hand-picked our latest special offers and honeymoon deals to make it easier for you!